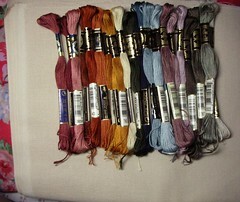 Nicole's Needlework: My Christmas present arrived! 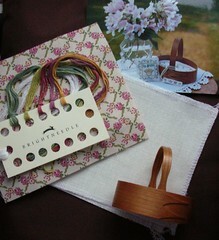 My Brightneedle class kit arrived the other day. It's so cute! The shaker carrier is so tiny, much smaller than I thought it would be, but still very cute. 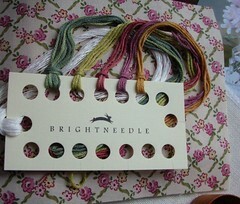 Be Good to You by Brightneedle. I look forward to watching you stitch Celtic Banner. That shaker carrier is so delicate! Both pieces look like they are going to be fun! I am with Sue and Sylvie...can't wait to see your Celtic Banner. I love that piece! Just a quick question: Where did you get the little Brightneedle kit? I love the little basket! Babies are such wonderful little blessings. I miss my boys at that age. You do lovely work.